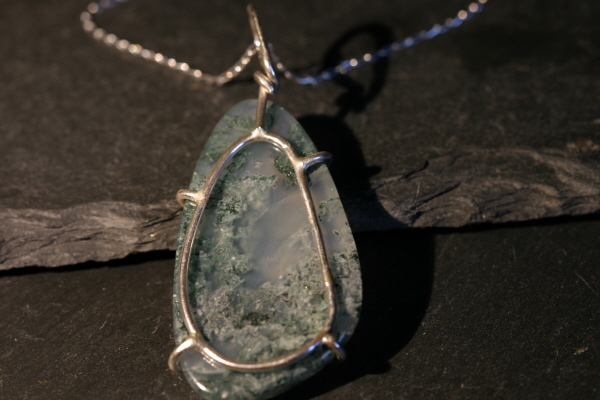 I have made it with a gorgeous offset teardrop shaped Moss Agate cabochon. the cabochon measures 4cm top to bottom - and has been skilfully set with a custom made sterling silver prong setting. I use a prong setting as it leaves the back exposed and the light can shine through and allow you to see the beauty of the cabochon. You can see the milky white mixing with the delicate green patterning.